This website ("Web Site") is offered to you by Respironics Colorado, Inc., 12301 Grant St # 190, Thornton, CO 80241, U.S.A., an affiliate of Philips North America LCC, 3000 Minuteman Road, Andover, MA 01810, U.S.A. ("Philips"). This website may contain general information relating to medical conditions, including their treatment or diagnosis. Such information is provided for informational and educational purposes only and is not a substitute for medical advice of your doctor or other health care professional. Always seek the advice of your doctor or other health care provider with any questions you may have about any medical condition, diagnosis, treatment, or other medical question. Neither Philips nor its subsidiaries, affiliates, partners, licensors, brand licensees, or suppliers provide medical advice. Never disregard professional medical advice or delay in seeking it because of something you have seen or read on this website. ALL INFORMATION (INCLUDING, WITHOUT LIMITATION, TEXT, IMAGES, GRAPHICS, LINKS, AND OTHER MATERIALS) ON THE WEB SITE IS PROVIDED "AS IS" AND "AS AVAILABLE". PHILIPS AND ITS SUBSIDIARIES, AFFILIATES, PARTNERS, LICENSORS, BRAND LICENSEES AND SUPPLIERS HEREBY EXPRESSLY DISCLAIM TO THE EXTENT PERMITTED BY LAW ANY REPRESENTATIONS OR WARRANTIES OF ANY KIND, EXPRESS OR IMPLIED, INCLUDING WARRANTIES OF MERCHANTABILITY, FITNESS FOR ANY PARTICULAR PURPOSE, NON-INFRINGEMENT, OR AS TO THE OPERATION OF THIS WEB SITE, THE CONTENT OR USER CONTENT. Neither Philips nor its subsidiaries, affiliates, partners, licensors, brand licensees and suppliers warrants or makes any representations that (i) the Web Site will meet your requirements, (ii) the Web Site will be uninterrupted, timely, secure, or error free, or (iii) the results that may be obtained from the use of the Web Site (including any information and materials on this Web Site) will be correct, complete, accurate, reliable, or otherwise meet your requirements. When you register, you must choose a unique user name and password and you must provide a unique, valid, current and verifiable e-mail address. Duplicate user names and e-mail addresses are not allowed, so if the name or address you enter is already in use, you will be prompted to choose another one. We will send you a confirmation e-mail with your registered information. In the event that delivery of such information fails for any reason, your access or use of areas, functions or features requiring such registration may be refused or terminated. You will promptly update your registration to keep it accurate and current. You are solely responsible for maintaining the confidentiality of your password. We reserve the right to change your username or refuse or cancel your registration if you choose a user name that, in our sole discretion, is obscene, indecent, abusive or otherwise improper. You are also solely responsible for restricting access to your computer(s). You agree to accept responsibility for all activities occurring under your account, user name, and/or password that are due to your conduct, inaction, or negligence. If you become aware of any suspicious or unauthorized conduct concerning your account, user name and/or password, you agree to contact us immediately by e-mail www.philips.com/siteowner. We may, at our own discretion, bar registration from any specific e-mail service or ISP. TO THE EXTENT PERMITTED BY APPLICABLE LAW, IN NO EVENT SHALL PHILIPS OR ANY OF ITS SUBSIDIARIES, AFFILIATES, PARTNERS, LICENSORS, BRAND LICENSEES OR SUPPLIERS BE LIABLE FOR ANY INDIRECT, CONSEQUENTIAL, PUNITIVE, SPECIAL OR INCIDENTAL OR OTHER DAMAGES RESULTING FROM, ARISING OUT OF OR IN CONNECTION WITH THE ACCESS, USE OF, OR INABILITY TO ACCESS OR USE THIS WEB SITE, OR THE CONTENT, EVEN IF PHILIPS HAS BEEN ADVISED OF THE POSSIBILITY OF SUCH DAMAGES EXCEPT TO THE EXTENT SUCH DAMAGES ARISE AS A RESULT OF FRAUD OR FRAUDULENT MISREPRESENTATION ON THE PART OF PHILIPS. Copyright and all other proprietary rights in Content provided by Philips, its affiliates, subsidiaries, brand licensees and/or other partners, the software to operate and publish the Web Site, the compilation of data on the Web Site, and the order, sequence and arrangement of this Web Site, all belong to Koninklijke Philips N.V. and / or its brand licensees, other partners or licensors. All rights in the Content not expressly granted herein are reserved. PHILIPS is a registered trademark of Koninklijke Philips N.V.
PHILIPS and all other registered trademarks of Koninklijke Philips N.V. and its affiliates are important assets of the company. Proper use of these trademarks is important and you should follow the instructions of Philips when referencing our company’ products and services. The use and registration of the PHILIPS name is exclusively reserved to our company.  You may neither register nor use a company name, statutory name, trade name, domain name or other name, indication or description, of which the Philips name or any name similar thereto or any name which consists of a part of the Philips name forms part nor shall it include any other registered trademark owned by Koninklijke Philips N.V. This Web Site is public by nature. You acknowledge that any submitting of any inventions embodied in any Content provided by you shall constitute a "publication" of such invention under applicable patent laws. You acknowledge that any Content submitted and/or discussed on the Web Site may be the subject of patents, copyrights, trademarks and other intellectual property rights of Philips, its subsidiaries, affiliates, brand licensees, other partners or third parties. If you consider exploiting any ideas, proposals, suggestions, or solutions or other Content submitted to the Web Site, you are responsible to undertake appropriate intellectual property clearance before engaging in any exploitative conduct. No right, title or interest in the downloaded Content is transferred to you when you download Content from this Website. Philips reserves all intellectual property rights in any Content you download from this Website. Except as expressly stated above, you may not copy, download, print, publish, display, perform, distribute, transmit, transfer, translate, modify, add to, update, compile, abridge or in any other way transform or adapt all or any part of the Content without first obtaining written permission from Philips. You hereby grant to Philips, its subsidiaries, affiliates, brand licensees and other partners a worldwide, irrevocable, royalty free, non-exclusive, sub-licenseable and transferable license to use, reproduce, prepare derivative works of, distribute, publicly perform, publicly display, transmit and publish Content provided by you, on this Web Site or any other Philips web site or in other Philips marketing or public relations materials in any and all media. The preceding information is provided exclusively for notifying Philips that your copyrighted material may have been infringed. All other inquiries, such as product related questions and requests or concerns regarding Content, will not receive a response through this process. You release Philips, its subsidiaries, affiliates, partners and suppliers, and each of their respective officers, directors, employees, shareholders, legal representatives, agents, successors and assigns from claims, demands and damages (actual and consequential) of every kind and nature, known and unknown, arising out of or in any way connected with your use of the Web Site to the fullest extent permitted by applicable law. We have the sole right to shut down the Web Site or any part thereof for any reason at any time without notice or consent. We will have no responsibility or liability for failure to store or delete any Content submitted to the Web Site. Thank you for using our Web Site.